A trio of teams get their first win of the season. Jeremiah Jefferson had 23 points and Paris Collins added 16 points, 12 rebounds and five assists as the Tigers (4-10, 1-0 SWAC) outpaced the Hornets at the Lee E. Williams AAC in the conference opener for both teams Monday. Julian Daughtry scored 16 points off the bench as Jackson State shot a blistering 56 percent from the floor in the second half. Jacoby Ross had 18 points to lead the Hornets (0-13, 0-1 SWAC). Jackson State started 2018 in style. They swept Alabama State in a twinbill to tip off #SWAC play. 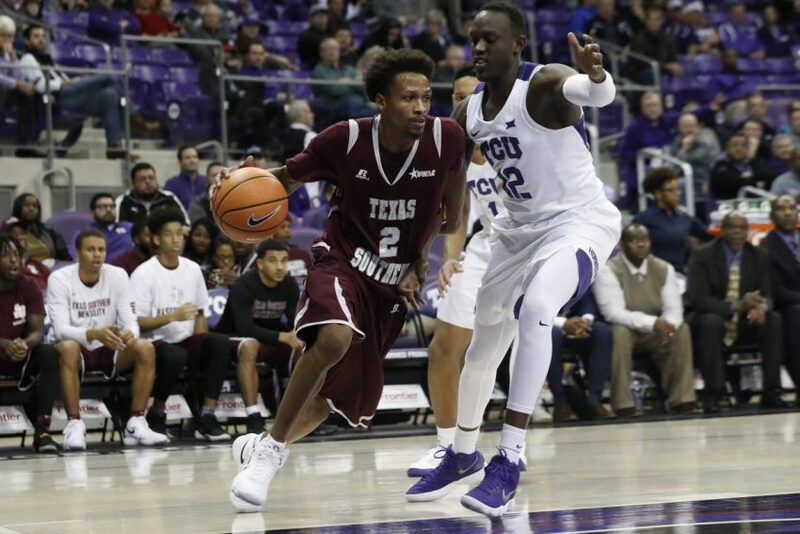 The Prairie View A&M men’s basketball team opened Southwestern Athletic Conference play with a 76-64 win over Alcorn Monday in the William J. Nicks Building. The Panthers (4-11, 1-0 SWAC) opened SWAC play with a win for the first time since 2011. Dennis Jones led PVAMU with 15 points, Gary Blackston added 13, and Zachary Hamilton and Austin Starr each scored 12 for the Panthers, which shot 51.8 percent from the field (29-56) and out-rebounded Alcorn 39-30. After the teams traded baskets to start the game, Prairie View A&M took the lead for good at 9-7 on a pair of free throws by Iwin Ellis with just over 14 minutes to play in the first half. That sparked a 9-0 run which was capped by a Hamilton three-pointer to give the Panthers a 16-7 lead with 11:24 to play in the first half. Prairie View A&M led by as many as 11 in the first half before taking a 38-31 lead at halftime. The Panther lead stayed in single digits through the first four minutes before an 11-2 run extended the lead back to double-digits. Starr’s three-pointer gave PVAMU a 52-39 lead with just over 14 minutes remaining. The Panthers lead by as many as 18 at 75-57 on a layup by Blackston with 2:45 remaining. Martaveous McKnight scored a game-high 23 points, Charles Jackson tallied 14, Travon Harper added 12 and Cameron Posey scored 10 as the Golden Lions (1-13, 1-0 SWAC). UAPB carried an 11-point lead into halftime and ended up shooting 50 percent from the floor as a team. The Delta Devils (0-14, 0-1 SWAC) were led by Dante Scott and Jordan Evans (15 points apiece), and Emmanuel Ejeh, who had 13 points, 12 rebounds, and three steals. Derrick Bruce notched a game-high 28 points on 9-of-15 shooting and Demontrae Jefferson scored 25 points and also had seven rebounds and seven assists to lead the Tigers to a conference-opening victory over the Jaguars at the H&PE Arena. The Tigers (1-13, 1-0 SWAC) shot 39 percent from 3-point range by making 15-of-38. Jared Sam led the Jaguars (4-10, 0-1 SWAC) with 16 points and nine rebounds.